Not everyone makes the final cut of the increasingly popular IT service management (ITSM) “thought leaders” or “social influencer” lists. You’ve probably seen the lists that I’m talking about – a list of 20 or 25 people that are “worth a follow” on social media, created by people who may or may not actually pay any attention to the social exploits of the people they list (go figure!). Thus, like anything in life, the lists, and their entries, span the spectrum of “great” to “meh.” In that they sometimes can get it right and sometimes you’re left wondering (it’s best that I leave it at that). Plus, there’s always people who miss the cut, even when it’s a longer list. But sometimes it can be more complicated than just missing the cut – with other factors coming into play. For instance, being too anti-establishment, working for a competitor (to the list-creating company), not tweeting enough (but IMO there’s definitely a case for quality over quantity), not creating personal content to point people to, or simply being a puppet (you know who you are!). So, this post is “doing the ITSM industry a solid” by highlighting some of the unsung ITSM social media heroes; who should be followed for their Twitter sharing, blogging, or both. Aprill Allen – Aprill is an independent knowledge management consultant who has probably forgotten more about knowledge management than most people know. She also blogs here. Scarlett Bayes – Scarlett is SDI’s resident industry analyst and has an ever-growing insight into the current state of IT service desks and where they’re heading. She also blogs on the SDI website as well as authoring SDI’s reports. Sally Bogg – Sally is an IT manager at Leeds Beckett University who seems to be presenting, and sharing what she knows, at nigh on every UK ITSM event these days (from where she will also tweet ITSM nuggets). Daniel Breston – Daniel is a consultant at Virtual Clarity and a prolific sharer of other people’s ITSM content on Twitter (and LinkedIn). He’s also a regular webinar-giver and blogger with the blog-love spread across various sites. Here’s an example. Matthew Burrows – Matthew is a well-respected advisor on SFIA, BSM, ITSM, SIAM, and transformation who shares content related to ITSM skills on Twitter. He also provides a monthly article to ITSM.tools – here’s an example. (You might see a trend here – I haven’t deliberately picked ITSM.tools article contributors, we’re just lucky to receive content from a lot of great people). Rob England – you might be surprised to see The IT Skeptic on this list. He’s a prolific tweeter (albeit not always on IT matters), book author, and blogger (and the owner of a very popular blog site). Maybe his conscious move to sharing opinions, ideas, and content on DevOps in particular has removed the ITSM-list focus? Ken Gonzalez – Ken, or Kengon to his friends, has been swallowed into the belly of Gartner but he still tweets a bit (and enough to earn an ITSM follow). If you want to read his stuff though, you’ll need a Gartner subscription. Joe the IT Guy – Joe is the resident blog writer and IT Guy at SysAid, plus one of the most prolific ITSM tweeters and bloggers out there. You can read Joe’s weekly ITSM blog here. Jon Hall – like Joe, Jon is vendor-employed tweeter and a blogger with his “day job” being a product manager at BMC. He has two main blogging outlets: Medium (personal, but still about IT) and BMC blogs (employer). Matt Laurenceau – Matt is a BMC colleague of Jon, in a community manager role, and can be found on Twitter and Medium, plus probably many other social networks that are too cool for me. Nancy Van Elsacker Louisnord – Nancy is President, TOPdesk USA and regular tweeter and blogger – for the TOPdesk blog and other sites (including CIO.com and ITSM.tools). Ivor Macfarlane – Ivor is an ITSM industry legend but isn’t the most prolific of tweeters. He does, however, offer up his thoughts, knowledge, and opinions via various blog sites. Here’s an example (and hopefully his semi-retirement will bring with it many more ITSM blogs). Kirstie Magowan – Kirstie is a content developer at GoToMarketers. She tweets lots and blogs regularly too, including for IT Chronicles. Simon Morris – Simon is an enterprise architect at ServiceNow and all-round helper of others (in life and at work). While Simons tweets might be a little too political for some, although it makes a refreshing change for someone not to be constantly tweeting “Our ITSM tool is sooo great,” his blogs are brilliant. Here’s an example and expect more from Simon on ITSM.tools as he gets back into a regular blogging cadence. UPDATE: Simon now has an additional, technology-focused, Twitter account. Vawns Murphy – Vawns is a Problem and Change Manager at Micro Focus, i.e. a real ITSM “doer.” Vawns is social in bursts but still worth a Twitter follow and her blogs are good reads. Sanjeev NC – Sanjeev is solutions consultant/product evangelist at Freshworks and an increasingly-frequent presenter at global ITSM events. He loves to blog, with his helpful words posted on Medium, the Freshservice blog, and ITSM.tools. Kevin Smith – Kevin is an SVP at Ivanti and an ITSM book writer. Like Greg, Kevin tweets stuff that makes you stop to think about the ITSM status quo. Kevin’s content can be found on the Ivanti blog. Doug Tedder – Doug is an independent IT consultant who is a frequent Twitter sharer of content. He also regularly blogs on his own blog as well as other popular ITSM blog sites. 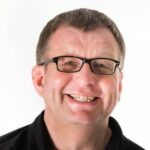 Duncan Watkins – Duncan is an ITSM/IT-focused consultant at Forrester, a frequent presenter at ITSM events, and a BCS Service Management Specialist Group Committee Member. He can write too – if only Forrester allowed him time to blog! Paul Wilkinson – Paul is a founder and director of Gamingworks, a company that develops business simulations that support organizational change. Paul is great at sharing on Twitter as well as being a frequent blogger (on the people side of ITSM) and a regular presenter at global ITSM events. So that’s my list of 20 (OK, it's now 21) people who should make more ITSM “Top Social Influencer” lists. Who would you add (and they really do need to regularly tweet and/or blog)? Please let me know in the comments. You’re missing Chris Chagnon; @chagn0n; He’s by far the youngest ive ever seen make these lists and is doing some really cool things as a PhD student studying ITSM. I saw him speak at HDI and Service Management World. Stephen, for next years SMD in the Netherlands, which one of these would have a story on service resilience? Would be nice to onvite them to speak. I believe you missed Nancy Van Elsacker Louisnord. She’s an active contributor to dozens of ITSM and IT publications, including regularly penning pieces for ITSM.Tools. She’s also the president of TOPdesk US so thoroughly understands the space better than many.